What does the Office of Student Financing (OSF) do? 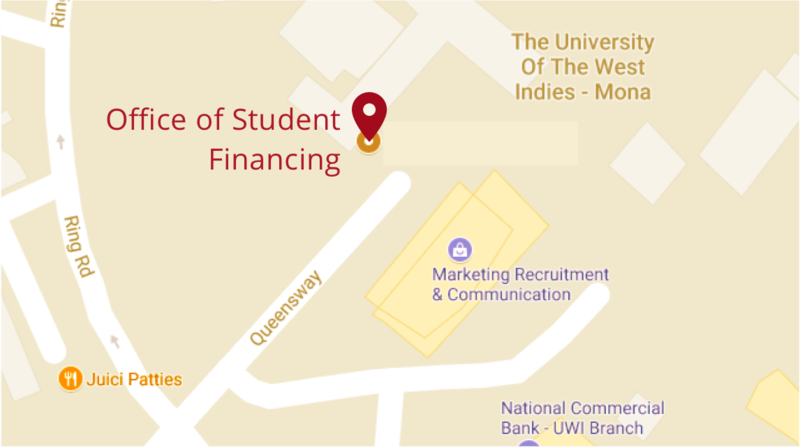 The Office of Student Financing (OSF) exists to assist registered undergraduate students of the Mona Campus. Types of Financial assistance includes scholarships, bursaries and grants. Who provides funding to the Office of Student Financing (OSF)? Funding is provided by the UWI Administration as well as various corporate entities and individuals; both locally and abroad. What is the deadline for applying for financial assistance? Deadline for scholarship application is the last working day in June each year however students should continue to check the website for scholarships which may have been offered late. Students may apply for grants during the periods September to November and January to April each year. Is there a period for late applications for scholarships and bursaries? No. Late applications for scholarships and bursaries will not be accepted by OSF after the deadline. Can I email you my scholarship application documents? No. We currently do not accept application documents over email. Hardcopies should be delivered to the Office of Student Financing which is upstairs the Administrative Annex (same building as the Billings and Receivables in the Bursary). Do I need to complete the entire application form? Yes. Incomplete forms may not be processed. How will I find out if my financial assistance application was successful? You will be contacted via your mymona email address once the application has been processed. For queries you may email us at stufinc@uwimona.edu.jm. Financial assistance in the form of grants are assessed within five (5) working days of applying. How will I know when the scholarships and bursaries have been awarded? Students who are shortlisted for awards are contacted via email or telephone. Unfortunately only shortlisted candidates will receive a response.